Travelling in the gloomy months of winter can be revitalizing. Moving away from the mundane nature of snowstorms and shovelling snow is always welcomed. Travelling in the winter requires a considerate amount of thought and planning before embarking on your journey. Getting up and boarding a flight does not cut it, especially in the 'cold' months of winter. Doing your research about what is required for winter travelling (by car/plane) is a must. This article will highlight some important tips needed for potential winter travellers. This is a must for those looking to travel in the peak months of winter. Blizzards will be rampant in the area and it will lead to numerous flights being cancelled. When this occurs, it is best to plan beforehand and avoid delays at the airport. It could end up cutting time from your invaluable vacation and/or time from your flight(s) back home. For those on a tight schedule, having flights delayed can be a horrid experience. Even for those without binding schedules, there is no fun in the hassle of connecting flights during winter. The cancellations at the airport can be mind-boggling as safety precautions are constantly taken. Even with a little bit of snow, the pilot and/or airline will declare the flight cancelled. While, this is excellent news for those looking to fly safe, it does not bode well for time purposes. Due to this being a factor, it is imperative to book a 'non-stop' flight. Avoid those connecting flights, where there are increasing chances of getting stuck in bad weather. Locating hotels during connecting flights can be a challenge no one wishes to encounter. What is the benefit of booking an 'early morning' flight? The answer lies in the increased number of options a flyer has at the airport. If a flight gets cancelled, the flyer can effortlessly switch over to another flight in the same day. This cannot be done, if the flight is later in the afternoon or closer to midnight. Early morning flights will allow for the traveller to construct their own 'plan B' on the spot. This can be difficult when the options are severely limited later on in the day. Early morning flights also assist in avoiding problems at other airports. As the day is early, everything is starting fresh from the airport's perspective. This leads to a new slate for travellers as they embark on their journey. You will not be blindly travelling into a mess of airport cancellations at another location. Christmas time and holidays in general are beginning to pop up during winter travelling months. Some flyers will be looking to bring gifts over to their relatives in other parts of the world. If this is the case, it is imperative to avoid wrapping these gifts up. It will be rendered useless as the security team at the airport will tear them apart. To save yourself time waiting as the security checks your wrapped gifts, keep the wrapping paper for later on. You can swiftly wrap these gifts once you reach your destination. The security team at airports are obliged to unwrap the gifts for safety reasons. This only leads to massive delays considering the amount of gifts one can end up carrying on a trip. Winter driving is an adventure of its own as all winter drivers know. The inclement weather can pose a problematic task to counter as the driver travels along. 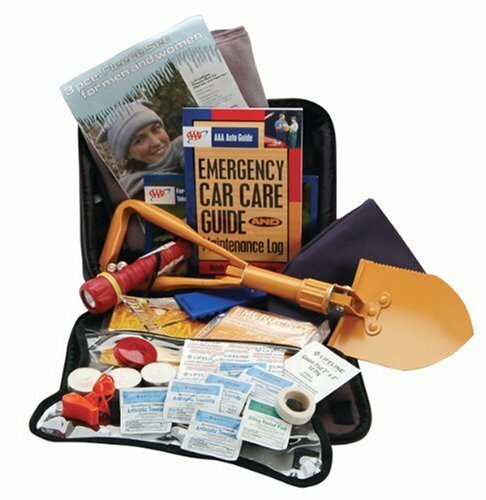 Due to this bad weather, it is essential to pack a basic emergency kit in case the car breaks down. Being stranded in the middle of nowhere in below zero temperatures is not exactly pleasant. Remain on the safe side and pack a kit that could get you out of any problem. Here are some of the items that can be included in the 'emergency kit'. Flashlight (with additional batteries), winter gloves, boots, blankets, windshield scraper (for icy weather), bars and other food. This is a given and any driving winter traveller should realize the importance of this. It is imperative to have your car checked by a mechanic before heading on a journey. This is crucial not only for winter travelling, but travelling in general when it comes to the car. A mechanic should have a look at the condition of the car and diagnose any underlying problems that could pop up during the long drive. Winter tires are a main part of driving in blistering snow storms. The roads can easily become slippery and it is important to have the winter tires installed and checked. It is difficult to drive with any other tires as the grip is simply too weak. The tires will start slipping and sliding, which is never helpful with a family in the back. Avoid this feeling of helplessness by having a mechanic check your car prior to departing towards your destination. Speeding is out of the question in bad weather. The car is already difficult to manage and control, revving up the speed will only lead to an awful accident. It is crucial to slow down and keep your foot hovering over the brake. At times, drivers will forget that accidents don't only happen when you make a mistake. Accidents can easily happen when another driver makes a mistake and defensive driving under such conditions is mandatory. Patience is a virtue when it comes to driving. Less time will be wasted driving slowly than if you were to get into an accident along the way. Getting away from the snowy confines of your hometown can be a blessing. However, this is only the case if there has been a considerate amount of planning done beforehand. As long as the tips in this article are followed, the chances of having a safe and content vacation are sky high. Be prepared for all that could be thrown at you because snowstorms can be relentless on transportation. Whether you are going by plane or car, safety precautions have to be paramount in your mind. Good post. I travel in the Arctic in the winter where they put big green stickers on your boarding pass that say. "Too cold to travel? Too bad. You're stuck on your dime" Well, not exactly in those words, but I've spent a few nights on airport floors during a blizzard.